I have been a teacher of English for 24 years, a Headteacher for 9 years and, at the age of 48, this much I know about how we teach reading skills to our weakest readers. Primary-secondary transfer is profoundly important; I know we all know this, but I have to admit that it is only in the last three years that we have set up structures to enable us to prepare effective, targeted provision for our new Year 7s. Gail Naish, our Assistant Headteacher/ex-Subject Leader of English is dedicated to leading on transition and it has transformed our practice. We have seen a significant increase in Free School Meals and Special Educational Needs & Disability students, as the social fabric begins to fray in certain postcodes within our catchment. It is four years since the banking crisis began the world-wide recession and it is no surprise that every year since then the number of Year 7 FSM students has risen at our school; the correlation between FSM and SEND seems to be strong. Our Golden 100 scheme is priceless. In liaison with our partner primaries, we can now identify the 100 students with the weakest communication and numeracy skills in Years 5 and 6; we then share pedagogic intelligence about each one so that our Year 7 provision for those Golden 100 is shaped to meet their needs. Effective preparation for primary-secondary transfer can change lives. We knew six months before they arrived that there were 34 students coming to us last September with specific learning needs around reading and writing. We have two students working at level 1 and none of the 34 is operating above level 3c. More important than the numbers, however, we knew what their reading and writing skills were and what we needed to do to support their development. Change your curriculum provision as the cohorts of Year 7 students change, year by year; it’s so obvious, but we’d never done that before. For the two classes comprising our Golden 34 we added 5 extra periods of English per fortnight, averaging 5.5 hours of English a week. The students were used to an hour of literacy a day and we had to ensure such a level of English learning was sustained. We also assigned four of our strongest expert English teachers to the groups, including the Head of Learning Support, an Assistant Headteacher, and a Deputy Headteacher. You know immediately when you see outstanding learning. Last week I saw learning in one of the Golden group’s English lessons which was magical. The lesson was taught by our Deputy Headteacher Abigail Brierley, a truly great teacher who works incredibly hard on her teaching; she exemplifies everything I wrote in my last blog about becoming a truly great school. She was teaching the class about the skill of making connections when you read a book, the third or fourth reading skill she has taught them since September. We have to challenge all our students academically; the group is reading Holes by Louis Sachar, and the connections they made were highly perceptive. Abigail says that she expects a lot of the group despite the difficulties they face with reading and writing. Students’ learning of reading skills is enhanced through their own drawing and the use of metaphor. 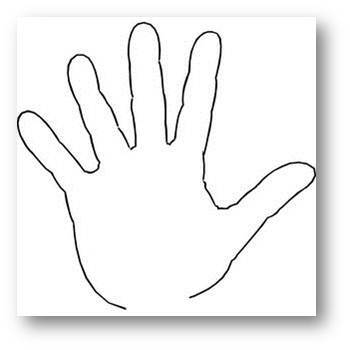 The lesson began with the students drawing round their own hand and writing one of the reading skills they had learnt down each finger. These were their handy reading skills! 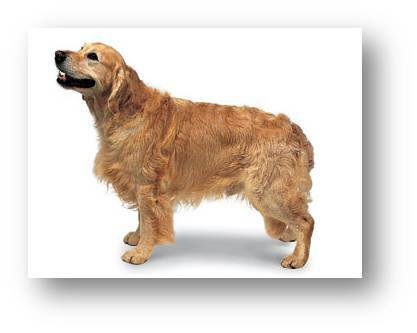 The first metaphor Abigail used with the group back in September was based upon the idea of a Golden Retriever dog retrieving a stick thrown into the long grass. Through the metaphor she introduced the concept of information retrieval. At the end of that first lesson one boy wrote on his what-I-have-learnt-today post-it, I have learnt how to retrieve like a dog. Another wrote, We are Golden Achievers (sic), a tag which has stuck, with some affection. Students find it difficult to understand the concept of inter-linking narratives. 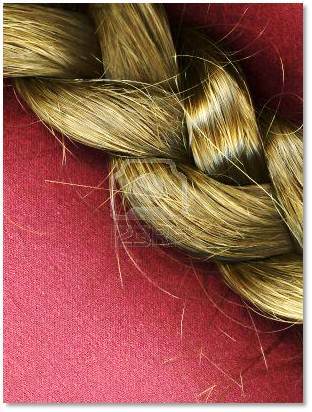 Abigail’s students don’t – they understand braided hair, so they now understand braided narrative, a phrase they use fluently. Empathy is hard to conceptualise, but not for Abigail’s group. 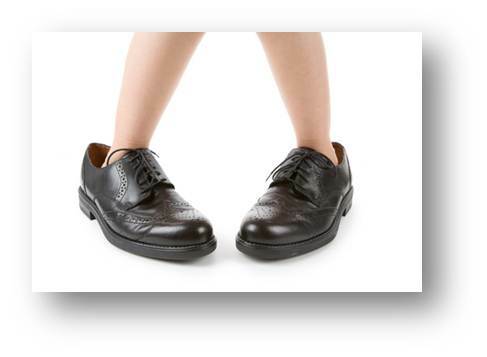 They understand the idea of walking around in their parents’ over-sized shoes and so understand what it means, metaphorically, to wear someone else’s shoes, or empathise. 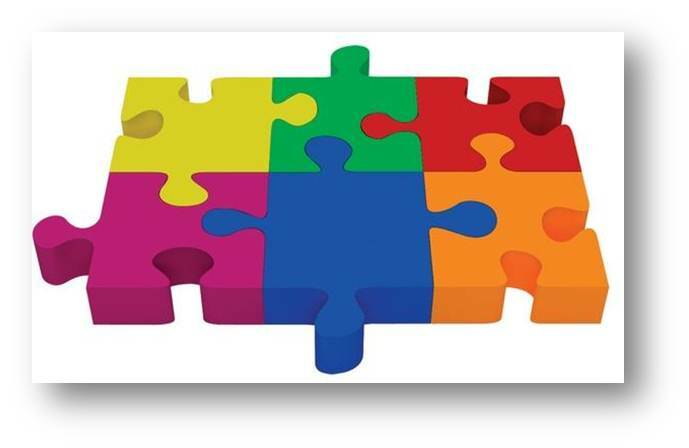 Making connections was explored through the metaphor of completing a jigsaw, another completely familiar image used to explain a potentially difficult concept. It was here that the students’ learning was chunked down and reinforced through drawing. As each step was made – making connections: between the book and ourselves; between different elements of the book & other books; between the book and the world – the students drew simple diagrams to represent each different type of connection. The connection between Holes and the real world was supported by a short YouTube clip of Rio Ferdinand talking about ridding football of racism. When you teach students with acute learning needs, rigour is all. Abigail’s teaching is characterised by the very best examples of basic of classroom management; not once did she begin speaking until all the pens were down. Perhaps most importantly, the students were always given collaborative thinking time before they responded. That rigour was coupled with truly sensitive handling of students who had an idea but then were powerless to stop it floating away before they could articulate it. Graphical representations of the learning journey really work with Golden students. Abigail used the image of a car travelling down the road and allowed the students to articulate where they thought the group had got to on their journey. They knew exactly how far they had got towards their destination. Whilst we teach the How, teaching the Why is even more important. David Didau is great on this point in a recent Youtube post. Not only did Abigail teach the students how to make connections, she also helped them understand why you make connections when you read. At the end of the lesson, the activity to ensure everyone in the room knew the students had made progress elicited remarkable responses to the question, Why do we make connections when we read? a question my Year 13 International Baccalaureate group might have baulked at. Measure the teaching by the impact on students’ learning. John Hattie would have loved this lesson. 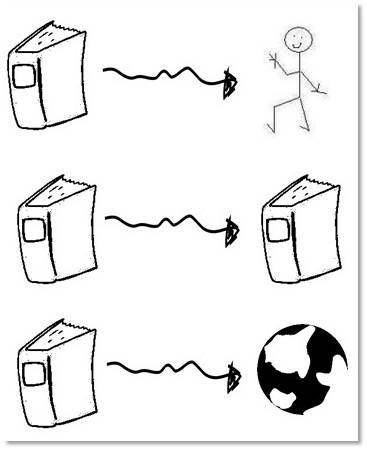 So, Why do we make connections when we read? Well, according to Abigail’s group who live in homogenous white York, So that we can step into their shoes, we can empathise…so we can read better…so we can understand the book more better (sic)…so we can make friends with black people…(and my favourite) so I know I’m not the only one who has been in that situation. I can’t believe that video is frozen at such an unfortunate position! Vanity thy name is Didau. I guess what you see working with your students is what counts. Common sense must trump research & theory. These ideas are really fantastic for all the higher order stuff of language, communication and understanding literature – and for building a strong rapport with the pupils – but do you also address the basic skills in literacy for your pupils? 1. Decoding. We’ve become pretty good at this (or at least, primary teachers have.) As long as kids pick this up in Year 1 or 2, they’ll be fine. Problems arise if they arrive a secondary school without being able to do this with much facility as most of us secondary trained English teachers lack the training or time to do much about it. I was about to respond to this blog to ask about the more basic technical and alphabetic code type knowledge – when I saw Debbie had got there first! I am currently inundated with requests from secondary schools who have pupils who cannot read at a functional level and who have no strategies to help themselves (teachers or pupils). If we don’t address this lack of basic skill then anything else we do is cheating the child since we are merely offering them props which will not suffice when the teacher is not there. But it totally depends on what skills each child has and it sounds like these students are able to read independently and are being taught the crucial next steps of reading and communication by a highly skilled teacher. The ideas being taught by the deputy head Abigail Brierley are terrific for teaching comprehension and it looks to me that, at last, some of the gold standard research on what works in teaching comprehension instruction, done in the US, has begun trickling down into schools in the UK. In my opinion, the very best of the research is encapsulated in Improving Comprehension Instruction by Cathy Collins Block, Linda B. Gambrell and Michael Pressley (2002). However, I have two main concerns: first, however good the instruction in comprehension instruction, if the cultural capital isn’t there in the first place, the connections won’t be made. So, what many pupils need is oral language skills and factual knowledge, not in the Gradgrindian but more in the Hirschian sense. My second concern, and one that Debbie Hepplewhite alludes to, is that in order to be able to make sense of what is actually on the page, pupils need to be able to convert spellings into sounds inside their heads and read (and understand) the words written. Secondary teachers are rarely taught the skills of teaching decoding (reading) and encoding (writing) even though it’s an essential element of meaning making. It sounds to me as if your lowest achieving pupils would benefit from being taught the mechanics of reading. 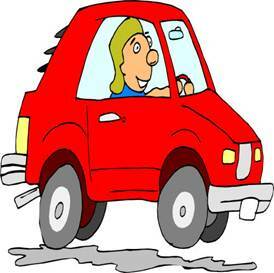 Copy and paste this link into your browser. Please leave a comment or question on the site. The video above has had an epilogue added in the form of a piece by three teenage girls who were the first in this school to benefit from the Speeder Readers course – their contribution is very interesting. The new link is shown below. I think everyone agrees that if rigorous early years phonics teaching was the norm, illiteracy would become a thing of the past. Unfortunately, there is no indication that it will become the norm any time soon. Children failed by inappropriate early years teaching can however, still acquire good literacy skills if teachers are not surpressed in their thinking on the question of HOW letter/sound correspondences are learned. The children and young people tin this school and a number of others in the Highland Area learned the letter/sound correspondences perceptually having failed to learn them ritually – but they still learned them and consequently have a brighter future in front of them.